WHAT IS A REIKI SHARE? At one point or another, you may have wondered, “where can I find Reiki near me”? Below, you will discover the most up-to-date for 2019 list of the best Reiki Masters for students seeking training classes, certification and attunement in Florida. Also, locate Reiki treatment and energy healing sessions in order from the highest to least populated cities and towns in FL. TheLightOfHappiness.com brings together the local Florida community of healers with a resourceful guide to locating energy healing in a town or city near you. Scarlet Lotus Usui Reiki is a well-respected Reiki educator, taught by Donna McGee. Workshops include many supplementary materials in addition to direct instruction so that those interested in eventually administering Reiki have the most realistic experience possible. This practitioner is connected to the Florida School of Holistic Health, so that those interested in other forms of healing many learn them in connection to Reiki. Wholistics Massage is an affordable and reliable choice to alleviate physical pain and provide mental relaxation. This therapist provides all massages with hot towels, eye pillows, and aromatherapy at no extra charge. Dianna Brothers has worked both as a spa masseuse and chiropractic masseuse, and as a cancer survivor she has an understanding and appreciation for natural methods of healing the body. The Looking Glass is a holistic healing retailer suitable for those looking to purchase healing merchandise either for themselves or for their practice. They carry a large selection of crystals, gemstones, candles, incense, oils, statues, Tarot Cards, and more. In addition to their retail service, they also offer healing services including life coaching, psychic readings, and Reiki Healing. Balanced Energy is owned by Vickie LeGare, who is RN, MS, and Usui Karuna Reiki Master. She provides insight from both allopathic and holistic healthcare. When her mother was diagnosed with Stage 4 cancer, her chemotherapy sessions were all followed by Reiki sessions, and Vickie attests to how much it improved both the quality of her life and possibly its length. She provides clients not only with treatment but insight on self care that may improve the quality of life in between sessions. The Raven Faerie is perfect for those that are interested in the mystical, and it provides both rare retail and services. Products include crystal wands, ritual tools, divination tools such as crystal balls and Oracle decks, books, Grimoires, and many others. 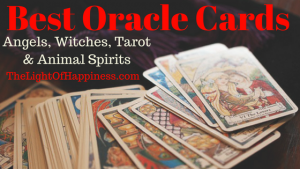 Their staff includes tarot readers, seers, stone teachers, palm readers, and Reiki masters. Lastly, the business offers events such as Drumming circles, Healing Circles, and Psychic Faires. This practitioner focuses on Reiki as a healing supplement to other physical and medical treatments, so that the client may feel in control of their health. They offer Reiki practices and training in several styles, including Usui, Karuna, and Kundali, with scientific research. They offer Reiki in hospitals, distant healing, and animal Reiki, as well as spiritual mentoring, which balances both the physical and emotion aspects of healing. Healing Today maintains an active presence in current healing, with both a newsletter and active schedule of events. Not only does this practitioner offer services in Florida, but they travel to other areas such as Atlanta, St. Louis, and Dallas to participate in workshops, healing circles, drum circles, and festivals. They offer both a physical and online store as well as training. Contact Diane for Angel Readings, Akashic Record Readings, Akashic Record Energy Sessions, EFT Emotional Freedom Technique, Holistic Coaching, Reiki, Guided Meditation. Phone, Skype, and In-Person Classes or Sessions Intuitive Healing Arts Practitioner helps you “move to the heart of healing” with customized sessions and packages. Call 772-228-8168 for your complimentary consultation on how to choose the process most uniquely suited to your current needs. Estrella shares a healing experience with others to create a feeling of peace and serenity she felt after her early healing sessions in Sedona, AZ where she received Level 1 & II certification and then later became a Reiki Master/Shinpiden. She has been sharing the healing power of Reiki ever since. Estrella believes we all have a purpose in life and hers is to bring peace to those that mourn and healing to those who are in physical and emotional pain.